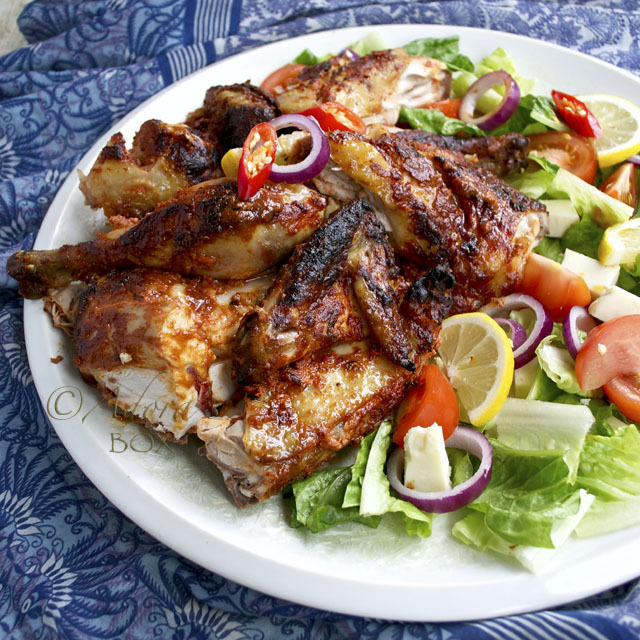 Marinating in yoghurt and spices gives the chicken its intense flavour and succulence. I always grind my own cumin seeds because that gives a flavour that's very different from cumin powder. The red fiery hue used to come from different kinds of chilli powder. Nowadays, red food colouring is used to stain the meat. 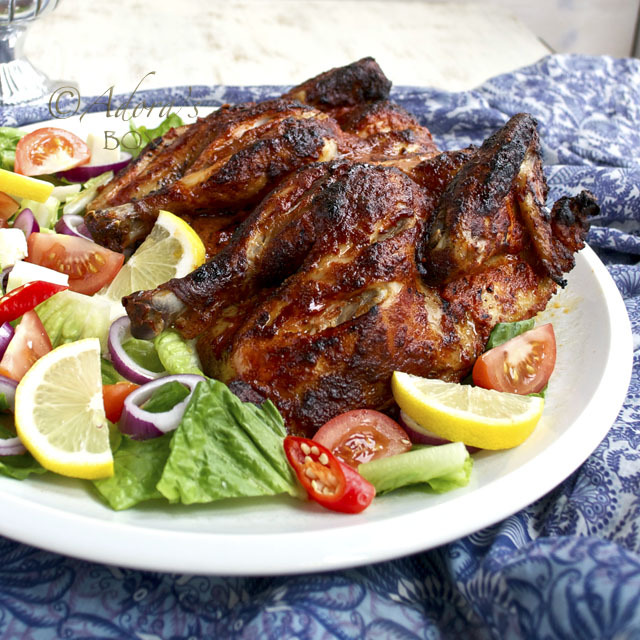 Tandoori chicken is perfect with salad and flat breads or rice. Mix all of the marinade ingredients together in a baking dish that's large enough to accommodate the spatchcocked chicken. Grill on medium heat on the barbecue or in the oven at 350°F/180°C for 50 minutes to 1 hour or until done (depending on the size of the chicken). Chop into serving pieces. That is golden and beautiful. I like that you roasted the entire bird -- when I've ordered the dish in restaurants the meat comes cubed and so dry. Nice! Love your photos, specially the fact that they are so golden brown. Do try to eat it by sprinkling chaat masala over it. my mom always broke the chicken at places sometimes or cut it more before cooking. Specially loved the lemons. it's a killer combination with tandoori chicken. 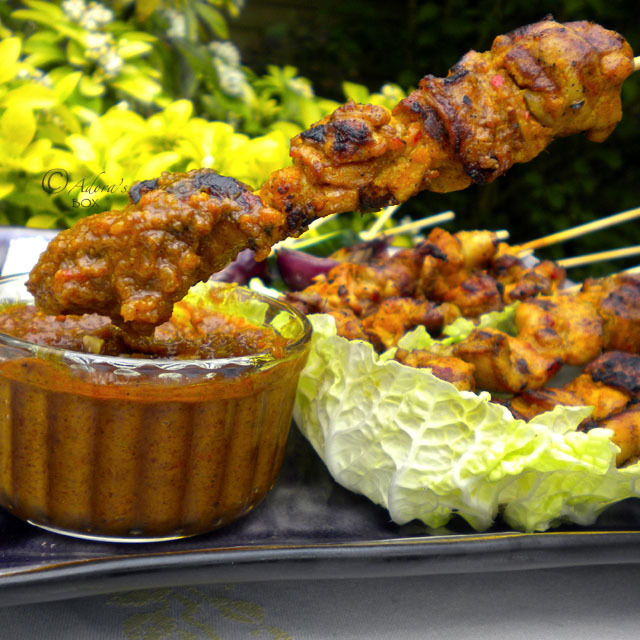 Awesome pics here and the recipe has so many great spices in it. I will have to try-tasty! This is definitely a must do for this summer :) Thanks for sharing the recipe. 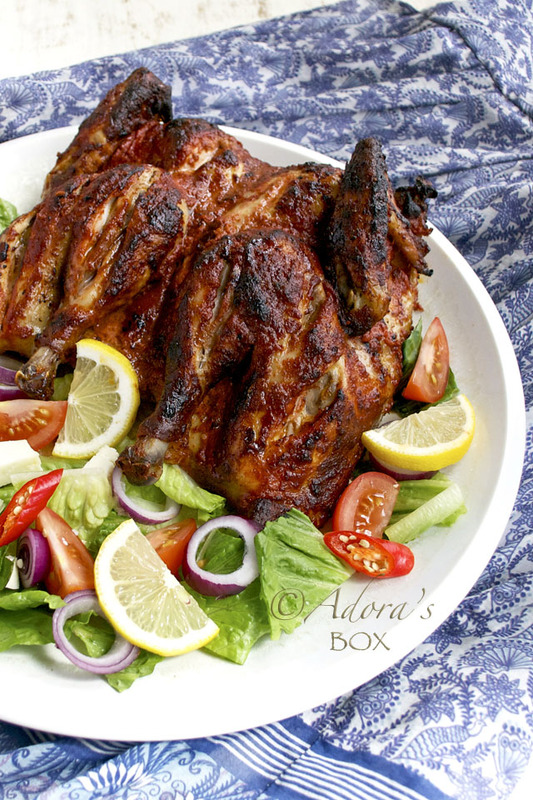 That's a great idea for the BBQ - that is one amazing chicken! It's at times like this that I feel rather 'homesick', as the French just don't do curries like they do in the UK. Everytime I go back, I always have a carry-in at the parents'. Now you've given me no more excuses - get it on the barbie! 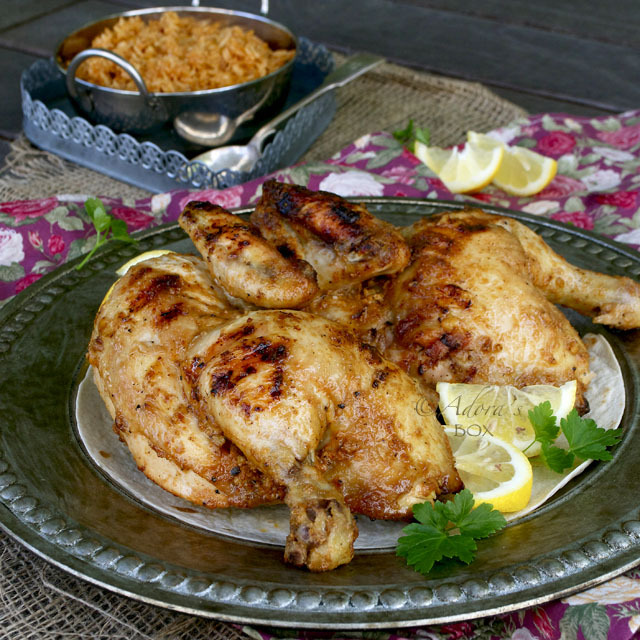 I love spicy food and this chicken sounds so good! Your pictures are are beautiful! I've been looking for a good tandoori recipe. This looks tasty and easy. Thanks for sharing the recipe. Your chicken looks fantastic AND the taste sounds delicious. Almost everything coming out of your kitchen is delicious and it's the truth! I love how you made the salad colorful contrast to the brown chicken. Very nice food styling! That chicken is cooked to perfection! I just want to sink my teeth in them! How I wish I have my oven now right away! There're so many so many oven-baked/cooked dishes I wanna try! 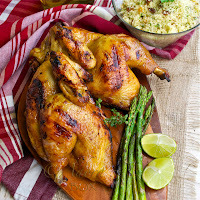 I love tandoori chicken, but have never made a whole chicken tandoori or done it on the grill. We grill alot - so I'm definitely trying this - love the crispy, golden brown, deliciousness! Congratulations on making FoodBuzz's Top 9 today! This looks delicious! I will definitely be trying this recipe very soon. I absolutely love this! I completely agree the crushed cumin seeds give off wayyy more flavor! Its wonderful! congrats on the top 9! I had no idea that they colored the chicken red. That's sneaky. I do love the combination of aromatics and spices you have in this. The garlic and ginger are one of my favorite pairings. I agree with grinding cumin seeds as well. So much better. Thanks for sharing the recipe. Congrats on the top 9! That is awesome! This chicken looks FABULOUS! Hi Andora! First of all, congratulations on the Top 9. That is awesome. And second, your photos are stunning. I mean they are HD quality clear. You can almost reach out to touch. Very nice.Third, your Tandoori chicken looks delicious. And last; thank you so much for the visit to my blog. And a big thanks for the kind and encouraging comment you left for me. You might Follow the blog to get regular updates. Just a thought. Take care.